Puerto Vallarta in Mexico is famous for serving best tasting Mexican recipes and delicacies. Every year, at least two or three culinary festivals are celebrated which showcase the dedication of locals for sumptuous dishes served in the Mexican way: Festival Gourmet, Restaurant Week and the Wine Fest. Ideal for a romantic date for two as it is situated where one can have a panoramic view of the vast ocean and the Banderas Bay. Located south of Puerto Vallarta, a nice place to dine for those staying nearby like in the Conchas Chinas and Old Town. Serves gourmet food that is priced just right and comes with good service. Offers a unique way of dining, by having it on the seaside and standing on its flour like sand. You can eat breakfast while watching the magnificent waves make its way on the shores, while the evening promises to be magical with live music and candlelit tables. Known for its soothing jazz music, a perfectly tranquil restaurant situated romantically amidst tropical plants. An ideal place for relaxation, where one can eat and drink wine comfortably. A favorite hangout place by expats and locals as well. Mexican foods are highlighted here, but international cuisines are served as well. If you want to eat like the Europeans do, then this is the place with gourmet dishes and quality service to go with it. If you’re looking for the best tasting pizzas and pastas, this is the place to be. Have an experience with these fine Italian pride only at Dolce Vita. You can choose to go in Nuevo Vallarta or on the boardwalk, where this restaurant serves your dream Italian pastas and pizzas. Located side by side with its equally famous sister bar, Solar; Barracuda’s restaurant offers Mexican seafood cooked the way you like it. 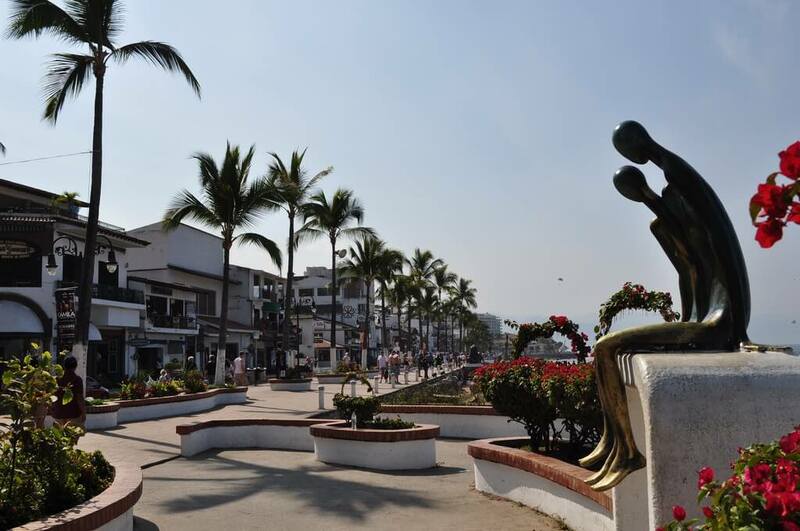 A nice place to experience youth and freedom, it’s located by the seaside at the northern side of Puerto Vallarta’s boardwalk. A product of one man’s ingenuity, French Thierry Blouet is a known figure in Puerto Vallarta, who has successfully blended European and Mexican delicacies in perfection. Café Des Artistes is popular with its elegant interior design, great tasting gourmet dishes and well trained staff who gives excellent dining services. Serves a different set of menu each day. La Leche restaurant is run by a father and son combination of Nacho Cadena and Alfonso Cadena. The latter acts as a flamboyant rock artist when he does a performance with his band and most of the times acts as the chef who cooks your food. Modern dishes can be enjoyed here, in the center of a chic atmosphere. A restaurant that serves your favorite Mediterranean dishes. You can dine in with the company of great music. A hip place to eat and provides an outdoor dining experience that’s a hit among tourists and locals alike. A rocking restaurant and ideal for a great night out. Sonora Grill Prime is the ultimate steakhouse in Puerto Vallarta’s Marina. The food is worth your money and you can find people here to socialize with. Offers a variety of dishes for your satisfaction and contentment.